Want to do jobs in Gujarat State? If yes then you can apply for Gujarat High Court Recruitment 2019. Gujarat High Court which is inviting the candidates to apply for 26 District Judge Vacancies. Applicants can fill application form Gujarat High Court District Judge Vacancy 2019 from here. Starting date of the online registration process will be 01.04.2019 for District Judge. The last date of submission of the online form is going to be 30.04.2019. Selection of the candidates will be based on Preliminary, Main Exam & Viva Voce for Gujarat High Court Jobs 2019. You may also collect more details related to Gujarat HC Vacancy 2019 from the given below article. What Are The Important To Remember For Gujarat HC Civil Judge Vacancy 2019? What is the Method of Selection for Gujarat High Court Stenographer Recruitment 2018? Relevant Experience in Advocate in Court of Civil and/or Criminal jurisdiction. What Are Simple Steps to apply for Gujarat High Court Recruitment 2019? Search for Gujarat High Court District Judge Jobs Notification Link. Click on it. Check out all the details mentioned in the Advertisement Pdf. If you are eligible then click on Apply Option. Enter up the details in the Gujarat High Court Vacancy 2019 application form. Recheck all the details mentioned in the form. Then go the payment page. Conclusion: Gujarat High Court Recruitment 2019 notification has been uploaded on its official website for 26 District Judge Jobs. Applicants can apply for Gujarat High Court District Judge Jobs before the last date which is 30.04.2019..
Gujarat High Court Department has released notification for Filling up Civil Judge Posts. There is 124 Vacancies are available for Gujarat High Court Recruitment 2019. Candidates who have a degree in law should fill up their online application form for Gujarat HC Civil Judge Vacancy. The Online Registration process will be started to form 01.02.2019. Interested and Eligible aspirants may apply online for Civil Judge Posts before the last date 01.03.2019. Candidates of General category need to pay Rs. 1000/- as an application fee. The Department has given concession in application fee to the reserved category aspirants. Check below article for furthermore information about Gujarat High Court Jobs 2019. Before applying candidates should check here eligibility criteria either he/she is eligible or not. Candidate can apply online for Gujarat high Court Jobs 2019 form links given here. Registration Gujarat HC Civil Judge Bharti 2019 is going to begun form 01.02.2019. Applicants must have a degree in law form any registered university by law in India for Gujarat High Court Recruitment 2019. Candidates should be practicing as an advocate in Court of Civil and Criminal Jurisdiction up to the last date of submission of an application form. 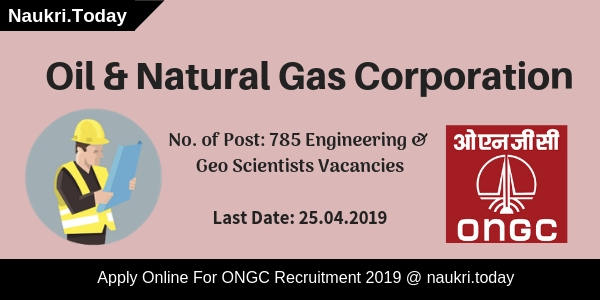 For further more details candidates may refer to the official Gujarat High Court Notification 2019. Candidates who belong to general Category must be not more than 35 years old. The Department has provided 3 years of age relaxation to the SC.ST/OBC/Ex-Serviceman category applicants for Gujarat HC Civil Judge Vacancy 2019. Candidates, please note that participants of any category may not exceed from 40 years up to the closing date of submission of an application form for Gujarat High Court Jobs 2019. Candidates who belong to general and OBC category have to pay Rs. 1000/- as an application fee for Gujarat High Court Vacancy 2019. SC/ST/Ex-Serviceman category aspirants need to pay Rs. 500/- as an examination fee for Gujarat High Court Recruitment 2019. Candidates can submit their application fee through online mode as well as by e-challan. For online payments, applicants should use their Credit Card, Debit Card, and Internet Banking for Gujarat High Court Civil Judge Jobs 2019. Selection of Participants will take place in three stages such as Preliminary, Mains, and Viva Voice for Gujarat High Court Jobs 2019. Aspirants firstly appear in Preliminary Examination which is going to held on 05.05.2019. Candidates who qualify in pre-examination will take part in the Mains Examination. It is estimated that Gujarat HC Mains Examination will take place on 07.07.2019. Participants who get qualify in both examinations will participate in Viva Voice. final Merit list of Selected candidates will be created on the basis of overall performance of Aspirants in an examination. The Department will pay Rs. ₹ 27,700 – 770 – 33,090 – 930 – 40,530 – 1080 to 44, 850 to the selected candidates. Applicants may download Official notification of Gujarat High Court Vacancy 2019. Here we gave you links to apply for Gujarat High Court Civil Judge Jobs 2019. Participating aspirants must check here eligibility criteria before applying for Gujarat High Court Bharti 2019. With the help of given below points, candidates can easily fill up their application form for Gujarat High Court Vacancy 2019. Candidates should open the official website of Gujarat High Court i.e. gujarathighourt.nic.in. After that click on the Civil Judge Advt. PDF link is given at the Homepage. Now Read complete notification carefully and check eligibility criteria. Eligible applicants may fill up their application from here. Now submit your application fee through suitable mode. Recheck check your application form carefully. Conclusion: Gujarat High Court has issued notification for 124 Civil Judge Vacancies. Candidates should collect here information regarding Gujarat High Court Recruitment 2019. Aspirants may apply online for Gujarat High Court Civil Judge Jobs before the last date. Do you want to Apply for Gujarat High Court Recruitment for Stenographer Vacancy? If yes, then here is the latest information for you. High Court of Gujarat has recently announced 76 Stenographer Vacancies. Candidates those are interested in Gujarat HC Vacancy must fulfill eligibility criteria also. Correspondingly, the application form is available via online mode. However, applicants can fill their Gujarat High Court Stenographer Job online form from 17th December 2018. The last date of apply online for Gujarat HC Stenographer Recruitment is 31st December 2018. Rest information you can collect from below paragraphs. Gujarat High Court is inviting online application form for 76 Stenographer Grade C Vacancy. Those candidates are interested and eligible for High Court of Gujarat Vacancy may fill the online form either here or official site. Correspondingly, the application form is available from 17.12.2018, However, applicants can apply for Gujarat High Court Job 2018 till on the last date i.e 31.12.2018. Furthermore, likewise, eligibility criteria, application fees, selection procedure and how to apply is mention below. Applicants those want to apply for Gujarat High Court Vacancy 2018 must fulfill the eligibility conditions. If candidates are not eligible for a given vacancy, they can’t fill the online application form. It comprises details of education qualification, age limit, and skills. Applicants must check the given below details to check their eligibility for Gujarat High Court Stenographer Job. Candidates who are willing to apply for Gujarat High Court Recruitment 2018 must check education Qualification information. Most importantly, applicants should be Graduate in any discipline from a recognized university. Similarly, they also have the speed of 120 w.p.m for English Stenographer. All the same, for Gujarati Stenographer 90 w.pm. speed required. Furthermore, check Gujarat HC Recruitment notification. As on 31.12.2018, participants minimum age required 21 years. Candidates those want to fill Gujarat HC Stenographer Recruitment should not be more than 40 years. However, Upper age relaxation is applicable as per govt. norms. Firstly, applicants those want to successful registration for Gujarat HC Vacancy must pay application fees. Correspondingly, those candidates belonging to unreserved category have to pay Rs. 600/-. However, participants those are from SC/ST/EBC/PH/Ex-Serviceman category have to pay Rs. 300/- towards Gujarat High Court Vacancy 2018. Fees will pay either online or offline mode from 17.12.2018 to 31.12.2018. Furthermore, details collected from Gujarat HC Recruitment Notification. After, selection of the candidates they also require to pay application fees. In addition to, Gujarat High Court Job applicants will receive Rs. 44900/- to Rs. 142400/-. Selection of the applicants will be done on the basis of aggregate marks in skill test and viva voce. 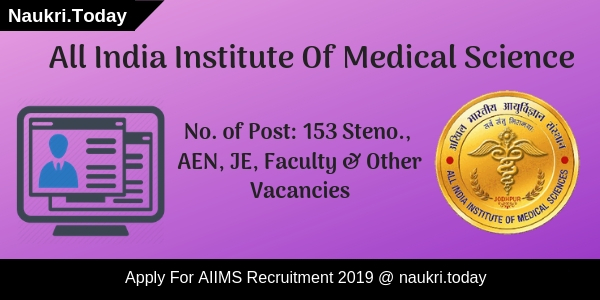 Firstly, the department will conduct a skill test for both Gujarat HC Stenographer Vacancy on 10th March 2019. After that, they will conduct viva voce on April 2019. Therefore, in the below section we mention Gujarat High Court Stenographer Skill Test Scheme. Check it properly and must prepare for it. There will be a skill test organize to select candidates for Gujarat High Court Recruitment next round. Gujarat HC Stenographer Skill Test contains 60 marks and the criteria is to qualify the test is mention below. Applicants will secure minimum 50% marks in skill test then after they will select for viva voce round. In an oral interview, there will be 40 marks. Applicants will qualify Gujarat High Court Vacancy viva voce on the basis of Mental Alertness, Current Affairs, Logical skills, Power of Communication, General knowledge, Analytical Ability & Knowledge of Gujarati, English & Hindi Language. For more details, you can check Gujarat High Court Job Notification. Interested and eligible candidates may apply through online mode for Gujarat High Court Vacancy 2018. Correspondingly, the online registration form is available from 17.12.2018. However, applicants can submit their Gujarat High Court Stenographer Recruitment online form till the last date 31.12.2018. Aspirants those are going to apply for Stenographer Grade-II vacancy must have valid email id, mobile phone, scan copy of photograph & signature. Firstly, all applicants go to the official site gujarathighcourt.nic.in. 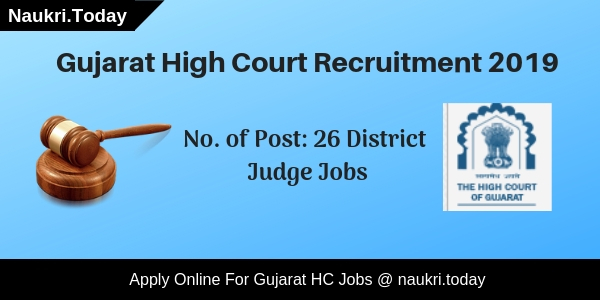 Click on the link apply online for Gujarat High Court Job 2018. Enter all required information on your application form likewise, personal & educational. Upload your signature & photograph on your Gujarat HC Job Online form. Now recheck full application form of Gujarat High Court Recruitment 2018. Conclusion: As we already know High Court of Gujarat is inviting online application form for recruitment of 76 Stenographer Vacancy. Those candidates want to apply and fulfill eligibility criteria of Gujarat High Court Recruitment 2018 may apply through online mode. The last date of submission online application form is 31st December 2018. Gujarat High Court Recruitment Notification 2018 – High Court of Gujarat has recently released notification for filling up 1149 Class IV Vacancies. There are Chowkidar, Liftman, Water Server, Home Attendant, Jail Warder, Peon & other Class IV Vacancy. Applicants those are interested and eligible for Gujarat HC Vacancy 2018 may apply through online mode. Candidates can fill the application form before the last date 30th November 2018. Rest information of Gujarat HC Jobs you can collect from below paragraphs. High Court of Gujarat is inviting online application form for 1149 Class IV posts. The starting date of apply online for Gujarat High Court Vacancy is 01.11.2018. Candidates can apply through online mode before the last date. Furthermore, details such as eligibility criteria, application fees & how to apply for Gujarat High Court Class IV Recruitment 2018 is mention below. Applicants can collect this information from below segment. Interested candidates must check that they are eligible or not for Gujarat High Court Jobs 2018. It includes education qualification, age limit, and other parameters. Before apply online for Gujarat HC Recruitment, candidates must check given below eligibility criteria. Candidates must pass 10th (SSCE) or equivalent qualification from recognized board. There will be skill test organize according to post wise. Furthermore, details consider to Gujarat HC Jobs 2018 Notification. The minimum age for Gujarat High Court Vacancy will be 18 years. Candidates should not be more than 33 years as on 30.11.2018. Upper age relaxation for Gujarat HC Recruitment is available as per Govt. norms. Selection of the candidates will be made on the basis of written examination. Applicants must qualify the written test held on 17.02.2019 to select for Gujarat High Court Recruitment 2018. There will be 100 question which contains equal marks. Duration of exam will be 90 minutes. So applicants who want to apply for Gujarat HC Jobs 2018 must download Class IV Exam Syllabus for better preparation. Applicants those are belonging to Unreserved Category have to pay Rs. 300/- towards Gujarat HC Recruitment Fees. Those aspirants belonging to reserved category need to pay Rs. 150/-. Fees will pay through SBI e-pay. Furthermore, details check Gujarat High Court Recruitment Notification 2018. After selection of the applicant, they will also receive an attractive salary. They will get Rs. 14800/- to Rs. 47100/- according to post wise. Interested and eligible candidates may fill the Gujarat High Court Class IV Online Form on official portal. Here our team also mention the direct link to apply online for Gujarat HC Vacancy 2018. Before going to fill the application form, candidates must have valid email id and mobile no. Applicants also keep scan copy of photograph & signature if they are going to fill Gujarat High Court Jobs 2018 Online form. Here in below section, you can check some instructions to apply online for Gujarat HC Recruitment 2018. First of all go to the official site gujarathighcourt.nic.in. Download Gujarat High Court Class IV Recruitment Notification. Now go to the official portal hc-ojas.guj.nic.in. Click on apply online for Gujarat High Court Recruitment 2018. Enter all require information such as personal & educational. Now upload signature & photograph on Gujarat HC Class IV vacancy online form. Make payment of application fees through SBI e-pay. Recheck your full Gujarat High Court Vacancy Application Form. Conclusion: Gujarat High Court Recruitment 2018 Notification is released for filling up 1149 Class IV vacancies. Candidates who want to apply for Gujarat HC Class IV Jobs 2018 may apply online from 01.11.2018 to 30.11.2018.